The new Lendal Carbon Cadence has arrived. 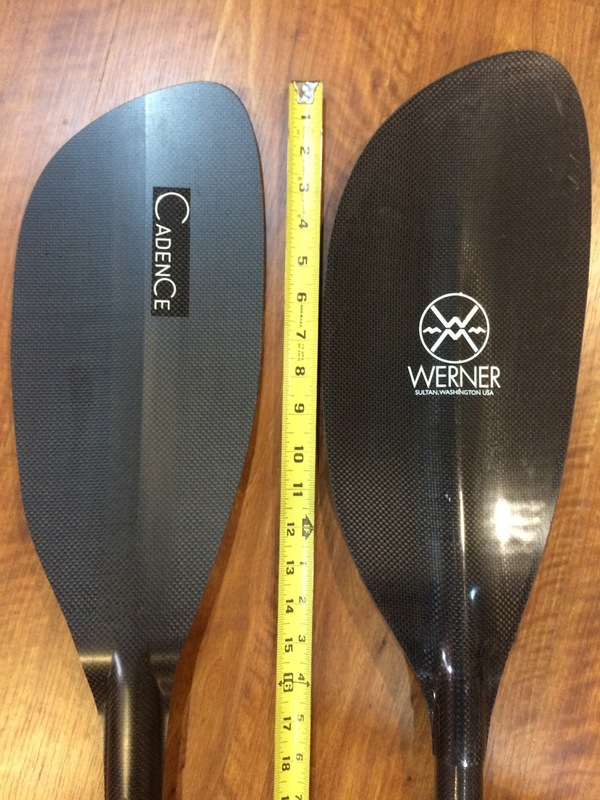 Nearly identical in shape to the fiberglass version, (HR Paddler – Lendal Cadence 11/12) the Carbon Cadence is Light!, both in swing weight (23oz. for 215cm paddle, $355 straight shaft, $415 modified crank shaft) and in strain resistance on the stroke. 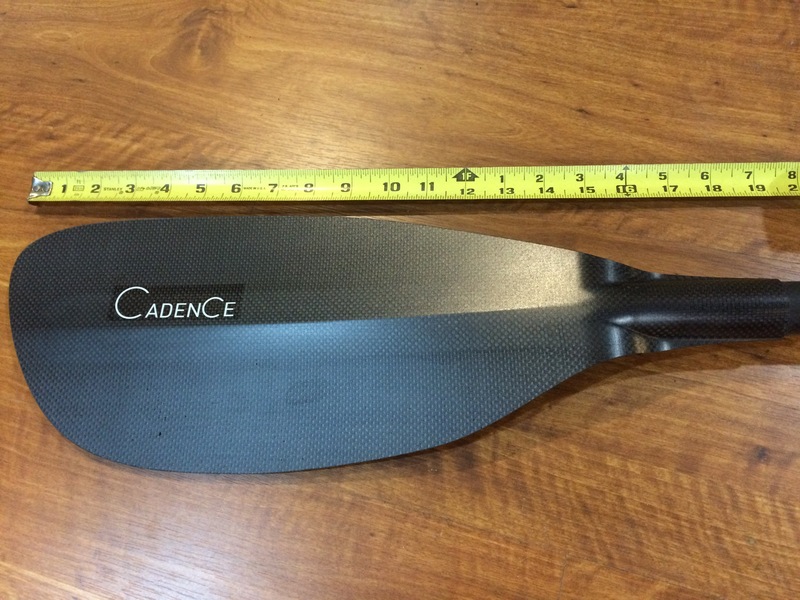 This makes the paddle several ounces lighter than similar sized foam core all carbon paddles and by the later statement I mean that at 600 sq. cm. 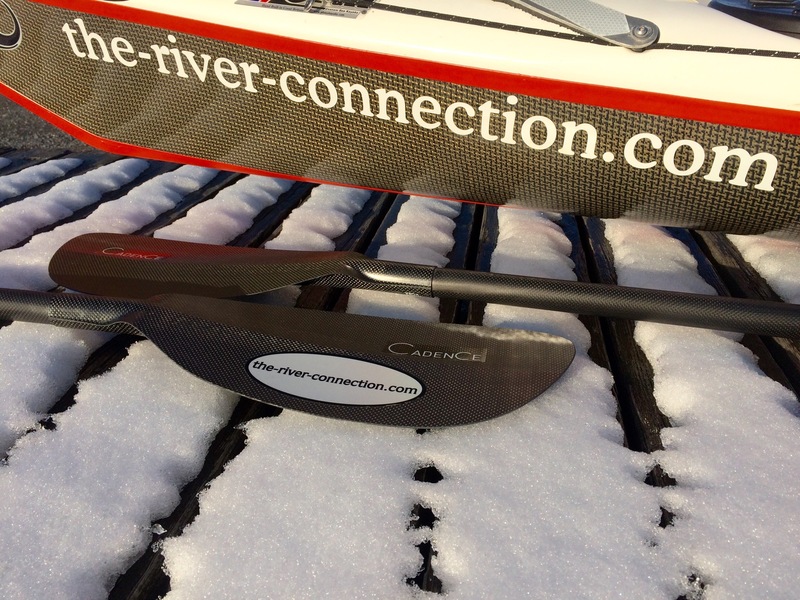 it provides enough purchase on the stroke to make long distance paddles feel effortless. Ok, perhaps a little background on that last claim. My name is Marshall Seddon. I’m the owner and lead kayak instructor for The River Connection, Inc. in Hyde Park, NY (www.the-river-connection.com). For the past few years I’ve also been a competitive distance kayak racer and been doing better than ok (frequently in the top 4 finishers) in numerous races ranging from 14 – 64 miles. For that I know I’m not looking for a paddle that has a lot of bite or purchase on the water as fatigue will catch up with me from the extra resistance. 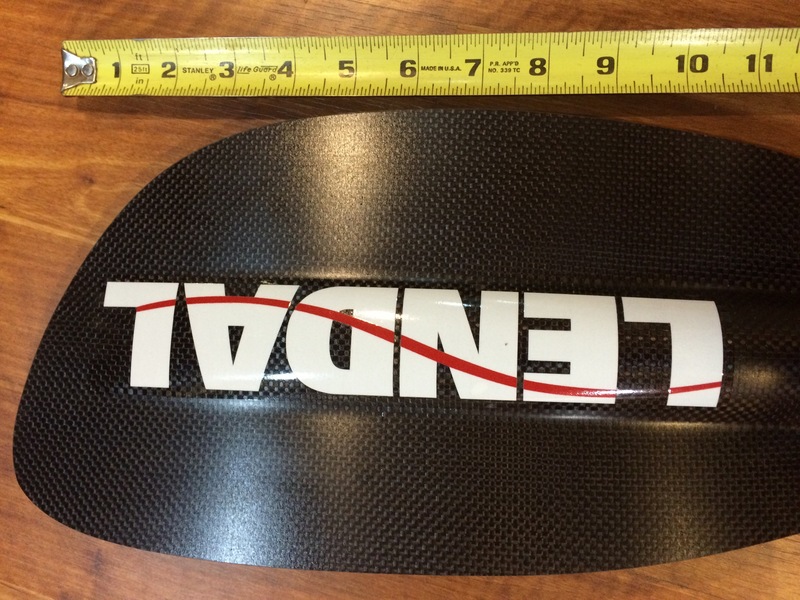 I want a paddle that’ll allow me to maintain my marathon pace all day. I’ve been very pleased with the Lendal Storm to date but I may have just found it’s replacement for the longer distance races, in the way of the Lendal Carbon Cadence. 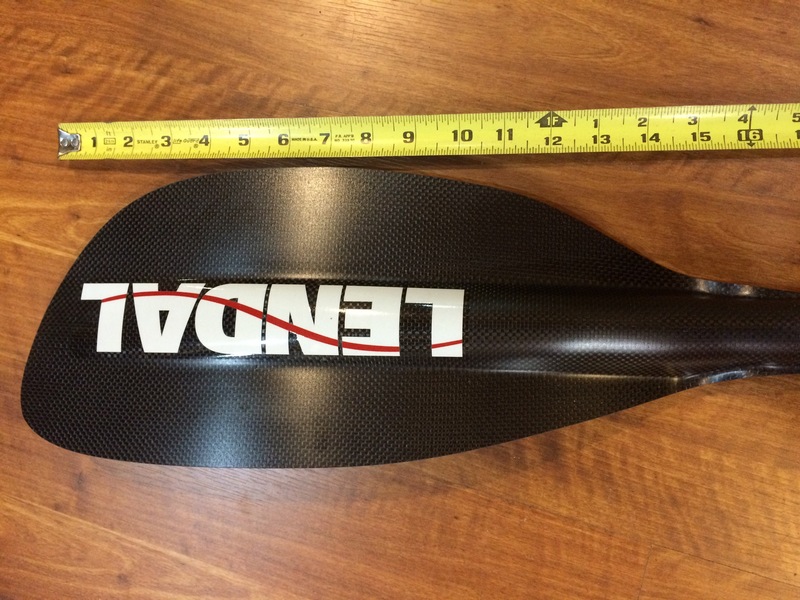 From a non-racer perspective, I can appreciate how this paddle would perfectly suit the lighter powered paddler and will recommend it to kayakers that have a habitual high angle style but not necessarily a lot of muscle mass or shoulder strength. The construction of the blades is very clean and very strong. I’m not going to be afraid of putting dings in the face material of this carbon paddle as I’ve sometimes seen with other mfg. foam core paddles. With barely any discernible flex in across any direction through the blade, the power transfer is clean and crisp making for a spring like snap of the blade exiting the water and a scalpel like entry on the catch. The all carbon fiber shaft is the standard Lendal ergonomic shape with the internal expansion ferrule PaddLok system. This shaft shape makes for very positive indexing of the blade position on the water and the ferrule system very strong and forgiving of grit and debris. Below are some pictures taken from just before launching on a 7 mile test paddle of the new Cadence and a few close up pics from here at the Showroom. If there’s another perspective you would like to see please drop me a line and I can either post it or email it to you. Currently there are few remaining in stock from the batch that just arrived. 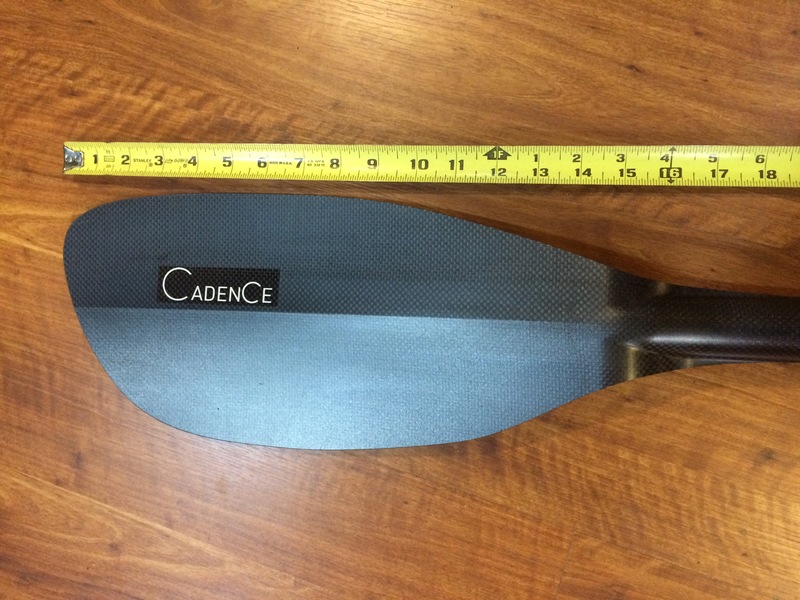 This entry was posted in Equipment Reviews, Uncategorized and tagged Cadence, Carbon, carbon fiber, Carbon Fiber Paddle, Kayak Paddle, Lendal, Lendal Cadence, Paddlok. Bookmark the permalink. I like your direct photo comparison with the Werner Cyprus. 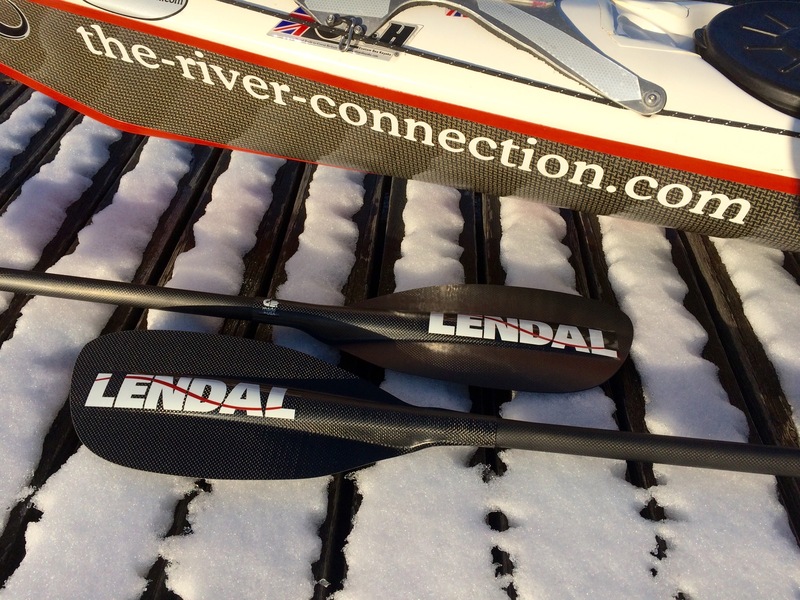 The Cyprus had been my long-time favorite paddle until I picked up a Lendal Storm from you! 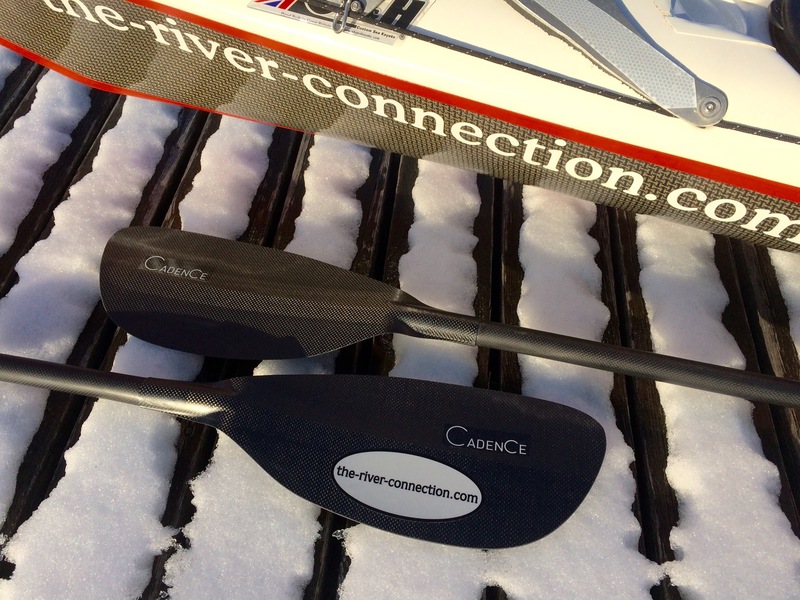 I’ll have to give the Carbon Cadence a try, but no new paddle purchases until I can sell off one of the extras in my quiver. No worries. It’s a different feel compared to the Storm. For much of my paddling I thoroughly enjoy the storm. As time permits I’d like to see how I feel after a 20 + mile paddle using the carbon cadence. If you’d like to try it out 12/20-12/30 I’ll be away and could mail you the demo one to go try out if you have any liquid water up your way. Let me know. I’ve also been tagged for trying out a Super Secret Squirrel project by lendal that could be ridiculously light, but more on that as it happens. Thanks for the kind offer, but I do not see myself getting out on-to-the-water over Yuletide. Too much else going on. I will eventually need a 220 length paddle if I pull the trigger on a C-1. I’ve demoed said canoe with a borrowed 220 Cyprus, but I would like to give it a try with a 220 Lendal, either the Storm or Cadence.